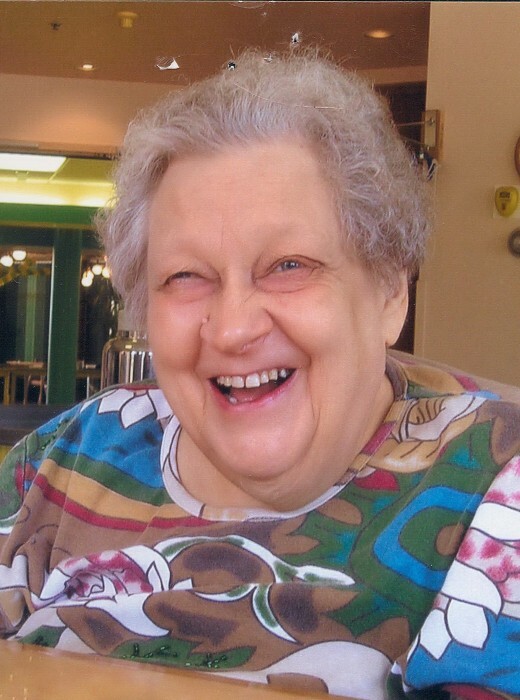 Frances May Borth passed away peacefully on November 5, 2018 at the Ponoka Hospital and Care Centre. She was born in Ponoka, to Dan and Lizzie (Nagel) Borth, on October 28, 1937. She lived with her parents until their passing, then moved into the Northcott Care Centre where she resided for 31 years. Frances was predeceased by her brother Paul Borth; sisters Edna Schickerowski, Elma Penner, and infant sister Martha. She will be lovingly remembered by her sister Florence Morrow as well as many nieces and nephews. We would like to extend a special thank you to the staff at the Northcott Care Centre, that gave compassionate care to Frances during her 31 years there. Memorial donations are gratefully accepted to the Northcott Care Centre.